Veterans Outreach Center’s annual Flag Day campaign celebrates the Red, White, and Blue as the symbol of our country. Held each year on the weekend preceding Flag Day and on Flag Day (June 14th), we commemorate the Congressional adoption of the Stars and Stripes as the United States’ official flag on June 14, 1777. 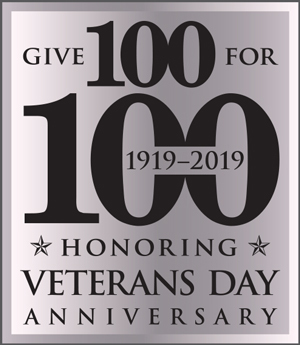 To share the pride of Old Glory, volunteers distribute over 30,000 flags and information on VOC’s services and accept donations to support the programs and services that Veterans Outreach Center provides to veterans, active servicemembers, and their families. Volunteer shifts are four hours in length and are great for groups, families, and students! We are always look for more help. The VOC Golf Tournament will be back at Midvale Country Club in 2018. Please stay tuned for more information about this great event! For its 10th year, Pound the Ground challenges you through the terrain of Mendon Ponds Park- and every step you take supports the men, women, and families served by Veterans Outreach Center of Rochester. Choose from one of our USATF certified courses for 10K & 5K runners, or a 5K Walk along the course through the beautiful park grounds. Runners who are veterans or active duty can join the 5K Branch Battle competition. The winning branch will be recognized on the Golden Boot Award, kept on display at VOC. Veterans Outreach Center’s annual signature dinner event celebrates the national observance of Veterans Day. For VOC and the Greater Rochester region, this evening presents the opportunity to commemorate our local heroes, the men and women who have served, as well as those who have made the ultimate sacrifice in defense of our nation during our current and most recent military conflicts in Iraq and Afghanistan. We are also proud to share with you on this night the personal stories and success of veterans who have found new direction thanks to the services and programs of Veterans Outreach Center. The impression made by our display of military tradition and the emotion stirred by the ceremony of the Table of Honor service combines for an experience you and your guests will not soon forget!